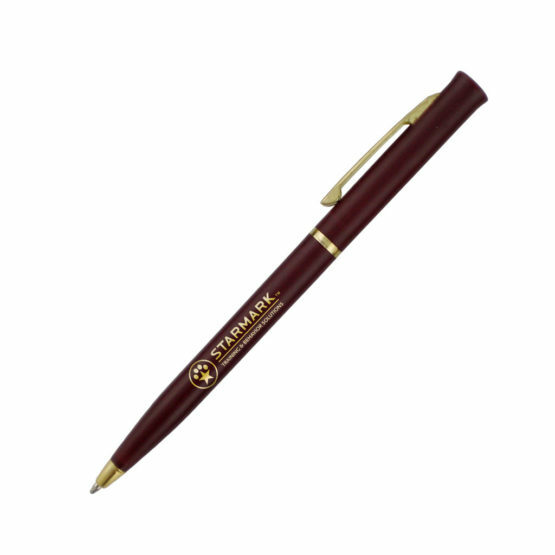 Slim plastic twist pen featuring gold metal clip & trim. Black ink refill. Price includes a one color silk screen imprint on barrel. 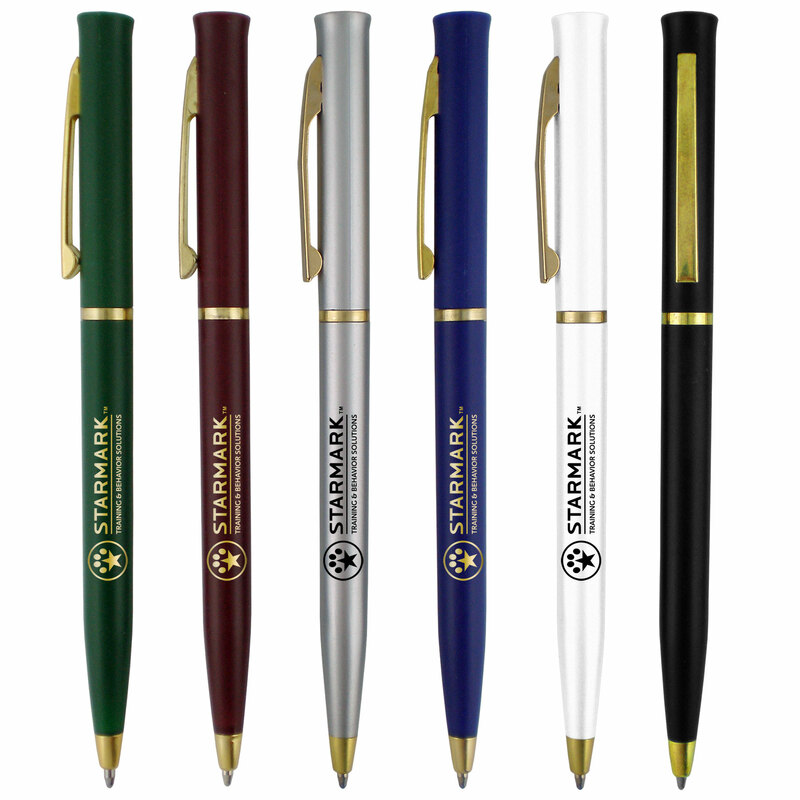 Colors: White, Green, Blue, Black, Red, Silver, White.